Book tells us his life story, accompanied by black and white pictures. He starts with breath, and the stories which were told by the firelight. He finds writing, clay, vellum, paper, scrolls, codex, spines, and the diligent monks, before the Chinese, Korean inventors and the archangel Gutenberg transform him forever. He moves through the years and generously accepts the ebook, although in his heart he knows he will survive forever, for he has ‘no immediate plans to become extinct’. This charming history of the written page will delight its readers. It follows the history of reading and the book to the present. 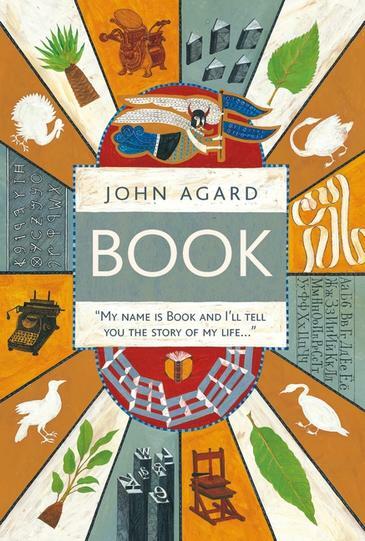 Interspersed with poetry and quotations from an anonymous Irish scribe, the autobiography of an African slave, Bertold Brecht, Emily Dickinson, Jorge Luis Borges, Andrew Carnegie, Bill Gates and others, a simply written text reveals just how important the book has been. Lives change, nations exist, the world becomes clearer through its wisdom. For the young reader there are few better introductions to this finest of all commodities.